A key House health panel on Thursday approved a $92 billion package of bills focused on expanding investments in health savings accounts after a fraught two-day hearing that highlighted fundamental GOP and Democratic disagreements over how Congress should intervene in private insurance markets. Moreover, the cost of the bills will be a roadblock to their passage. House Ways and Means Committee Republicans argued that the set of 11 bills will help lower patients' healthcare costs by expanding the drugs and medical services they can pay for through health savings accounts. They folded in three significant changes to Obamacare as well: a moratorium on the employer mandate, a delay in the implementation of the 40% excise tax on employer-sponsored plans, and a measure to apply the ACA tax credits to low-cost catastrophic or "copper" plans. But the focus on HSAs drew vocal Democratic criticism. Rep. Richard Neal of Massachusetts, the committee's ranking member, characterized the markup as a messaging exercise for bills that "just create greater tax shelters with the means to take advantage of them." The HSA market has ballooned since 2004 when President George W. Bush signed the bill authorizing the savings vehicle. By January 2018, the market had climbed to nearly $50 billion. The Ways and Means package focuses on allowing more people to invest in HSAs or expanding the medical services and insurance coverage HSA owners can pay for with their funds. 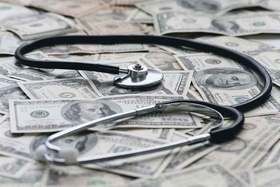 One measure would let Medicare Part A beneficiaries currently prohibited from contributing to their existing HSAs once they turn 65 to maintain their accounts. Others would qualify significantly more health treatments, services and over-the-counter drugs for HSA spending. The package would also give HSA owners $250 in first-dollar coverage for those high-cost plans that don't feature a deductible, and let enrollees use HSA money to pay for their catastrophic plan premiums. Democrats argued that the concept of pairing high-deductible, low-value plans with HSAs would undermine the Obamacare market that requires coverage of all the essential health benefits. Rep. Sandy Levin (D-Mich.) argued that if catastrophic plan options become popular, carriers would likely pull back on their marketplace footprint and stop offering high-value coverage. The committee's chair Rep. Kevin Brady (R-Texas) pushed back, arguing that Obamacare's core coverage requirements would remain in place but that people who can't afford high premiums would have a choice that he said would help cure spiking healthcare costs. But the significant sticking point for the panel that could doom its progress for now was the cost of the package, which all together would add $92 billion to the federal deficit over 10 years according to the Congressional Budget Office. Brady acknowledged that Ways and Means would not offer any spending offsets to pay for it. Although the committee's largely party-line approval means that the House GOP leadership can bring the bills up for a full House floor vote, it isn't clear whether they could pass both chambers anytime soon—particularly given the price tag and the Senate's packed calendar ahead of the November midterm elections. Still, other measures to delay or repeal Obamacare taxes are likely to continue rolling out, at least in the lower chamber. A measure by Rep. Erik Paulsen (R-Minn.) to permanently repeal the medical device tax is expected to head for a House floor vote before the end of the month, and the medical device trade association AdvaMed is rolling out a television ad blitz within Washington over the next few weeks to rally lawmakers to act.